Brisbane Soloist 528 - A great acoustic soloists with an without backing tracks with smooth vocal ability. Brisbane Soloists For Hire at Weddings and Events. 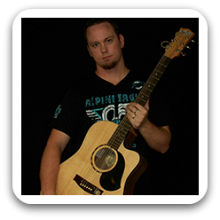 Brisbane Soloist 528 – As a self taught guitarist and classically trained vocalist, Brisbane Soloist 528 now stands out as one of the most dynamic entertainers in the industry. He has been regularly performing at a variety of venues from Mid New South Wales to the Central Queensland coast. With almost 20 years of professional musical experience Brisbane Soloist 528 has amassed a large repertoire of covers, by a wide range of artists. He also takes pride in keeping up to date with the latest hits. At any particular gig you may hear anything from Beatles, Eagles and Creedence through to Ed Sheeren, Jack Johnson and Bruno Mars. Brisbane Soloist 528 regularly performs at private functions such as Weddings and Birthday Parties. He is known for his ability to read a crowd and provide the ideal musical accompaniment for any occasion. Brisbane Soloist 528’s vocal prowess is what sets him above your regular solo entertainer. With the addition of his professionalism and quality overall performance, you can be sure your special occasion will be one to remember.